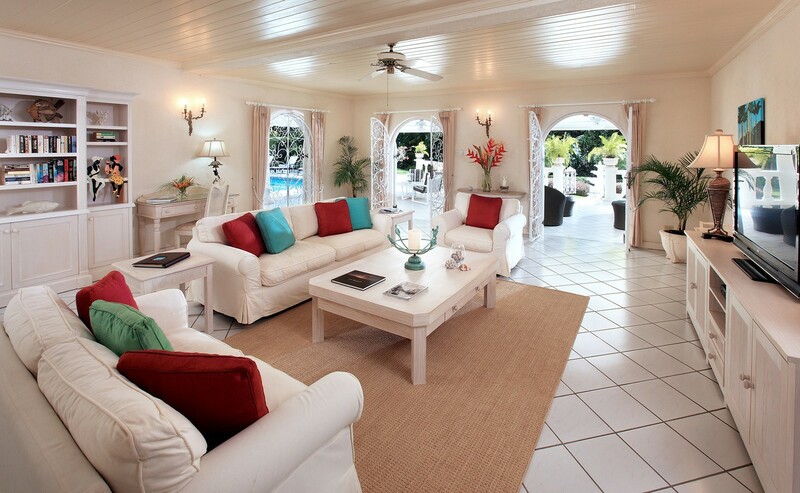 Villa Vistamar at Sandy Lane Barbados. 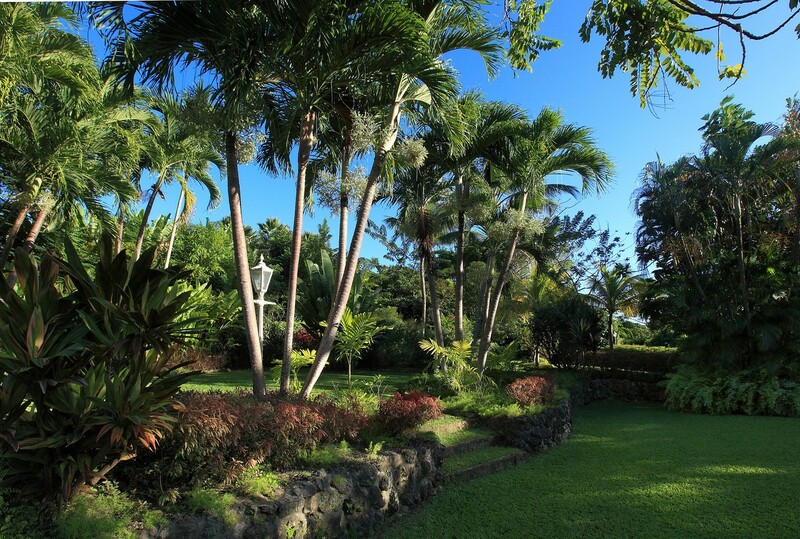 Does the idea of a holiday in Barbados appeal to you? 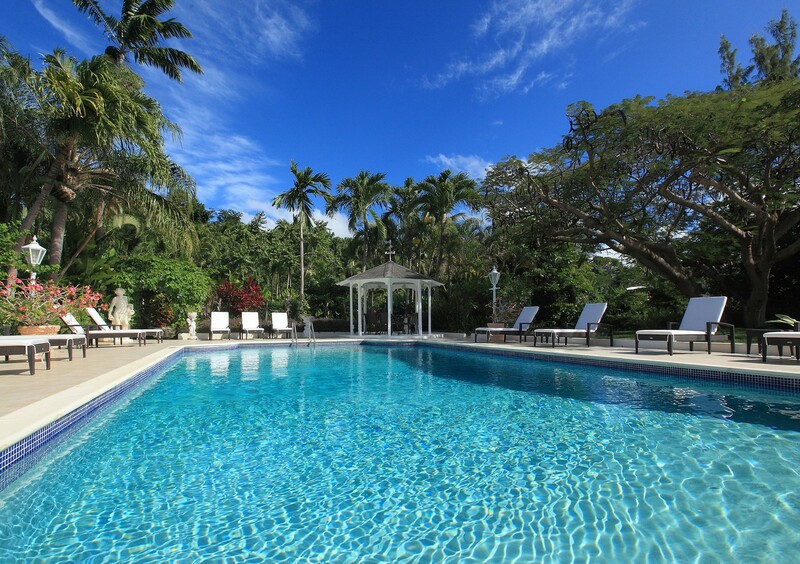 What about such a holiday on a private estate stocked with some of the finest amenities and services imaginable? 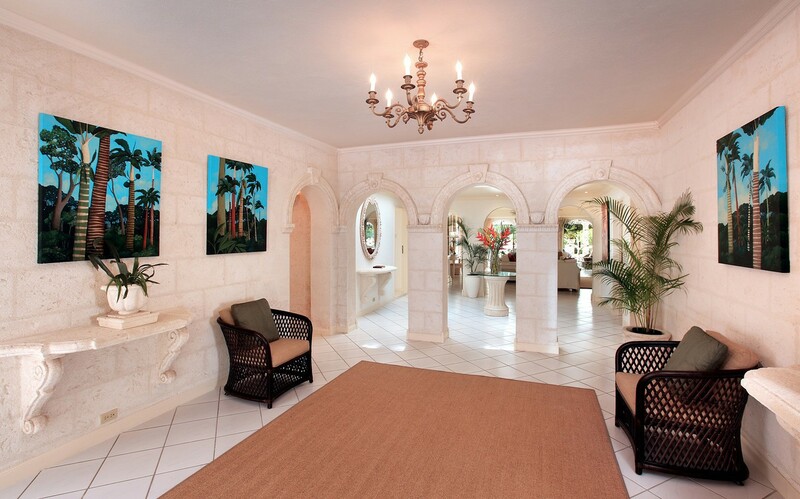 Well, that is precisely what visitors to the Villa Vistamar at Sandy Lane can expect. 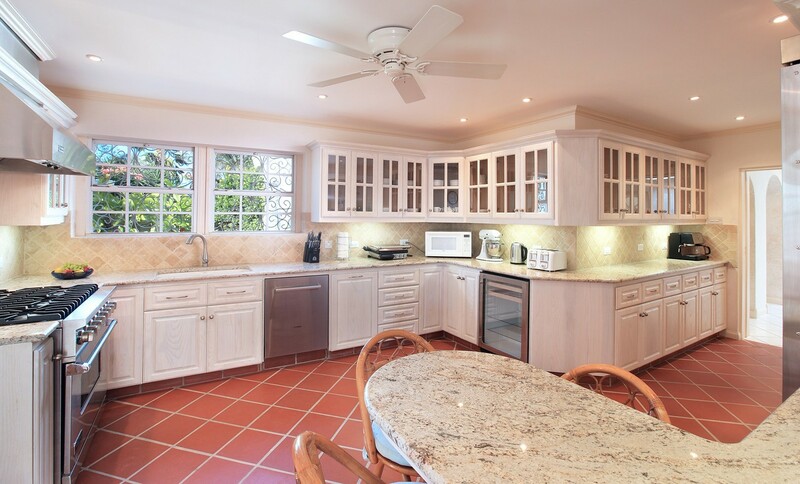 As part of the coveted Sandy Lane Estates, it ensures the utmost in natural beauty and privacy while also providing a somewhat surprising list of world class options. 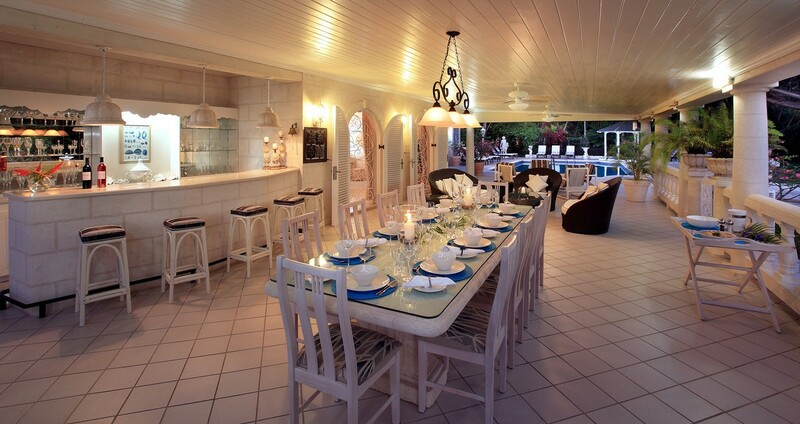 However, the villa too is remarkable. 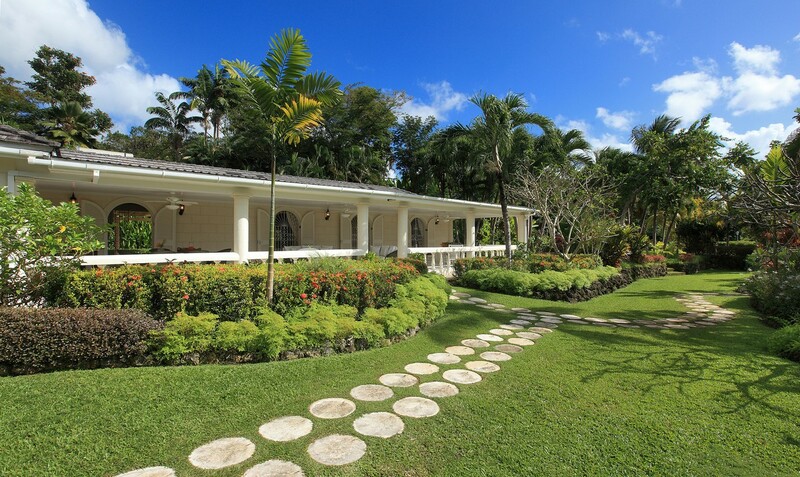 Surrounded by expansive gardens and featuring an enormous amount of space dedicated to outdoor living, it lets you savor the trade winds, sunlight and beauty of Barbados. 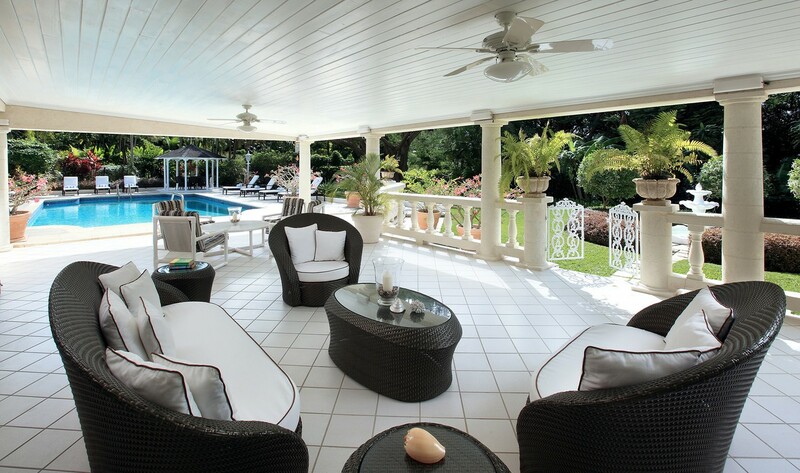 This villa has a large and private pool area with al fresco dining gazebo and spacious open-air lounge. 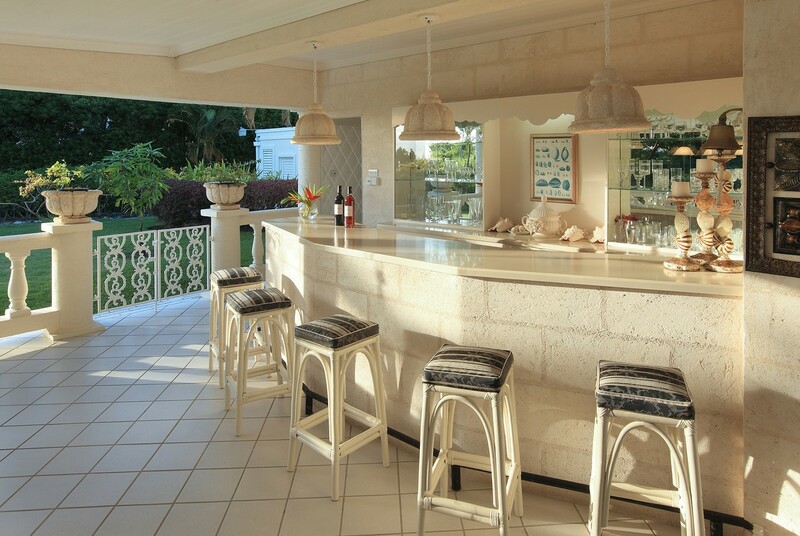 There is also the outdoor bar close to the pool, and then there are the amazing interiors. There is a large living room with entertainment system, the oversized gourmet kitchen, the dining room and the breakfast room. 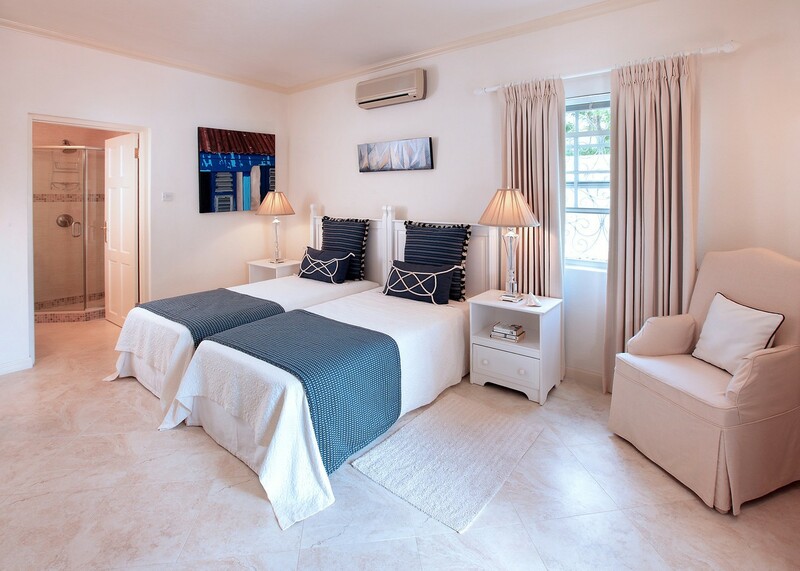 Of course, with a full household staff that includes a cook and housekeeping team, you can just enjoy any of those spaces in total relaxation. 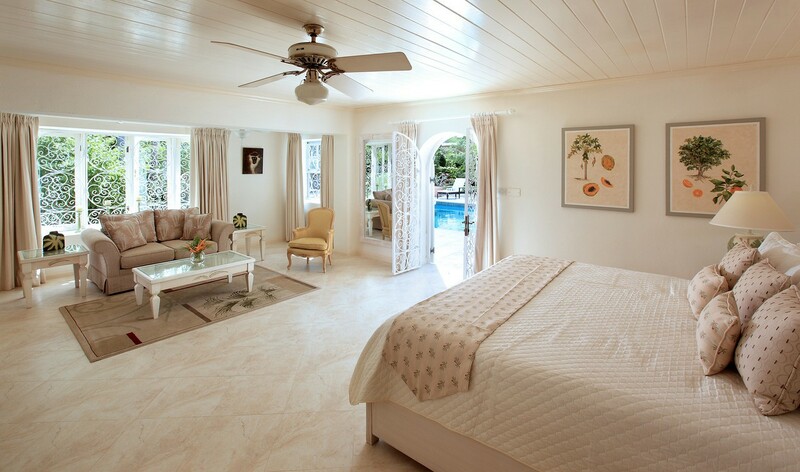 The six bedrooms are ideal for a family with a separate cottage housing two of the suites. There are two king suites, two queen suites and two dual twin suites. 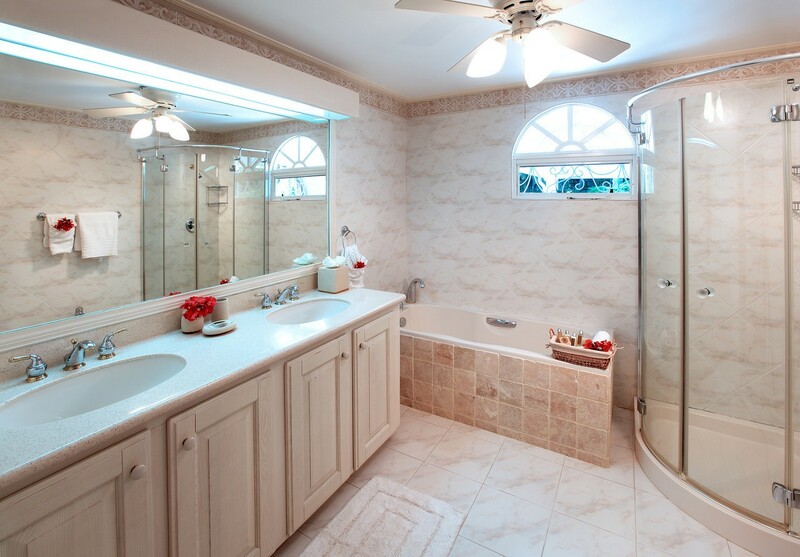 Each has a private bath. 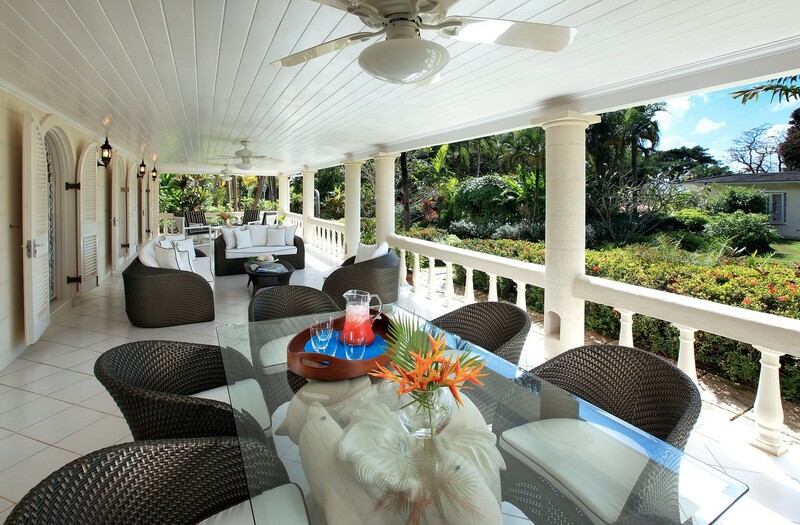 The Villa Vistamar at Sandy Lane has it all and is going to be an instant favorite with your entire group. 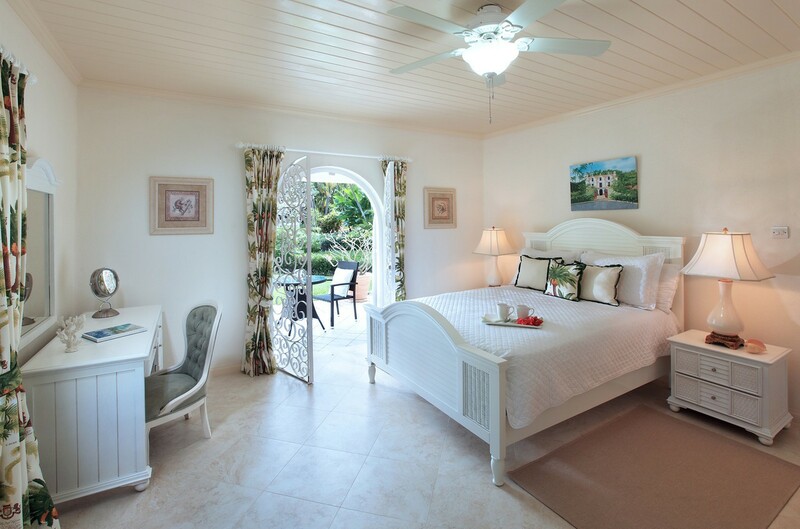 Bedroom 1: Master bedroom with a king-size bed, A/C, ceiling fan, safe, access to the pool deck and en-suite bathroom with bathtub, shower, double vanity and WC. 2 guests maximum. 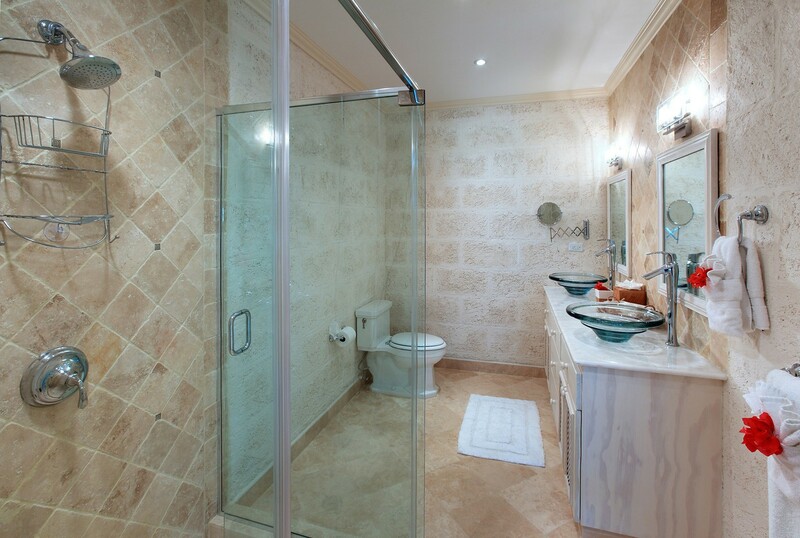 Bedrooms 2 & 3: Bedrooms with a queen-size bed, A/C, ceiling fan and en-suite bathroom with shower, double vanity and WC. 2 guests maximum. 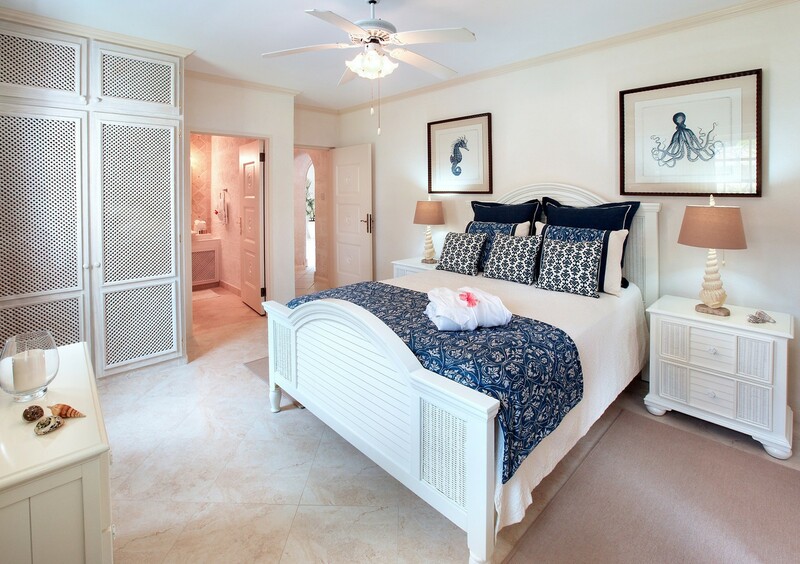 Bedroom 4: Bedroom with two single beds, A/C, ceiling fan and en-suite bathroom with shower, vanity and WC. 2 guests maximum. Bedroom 6: Bedroom with a queen-size bed, A/C, ceiling fan and adjacent bathroom with shower, vanity and WC. 2 guests maximum.